Did you know Boston Harbor is teeming with marine life? How much do you know about those marine animal neighbors? 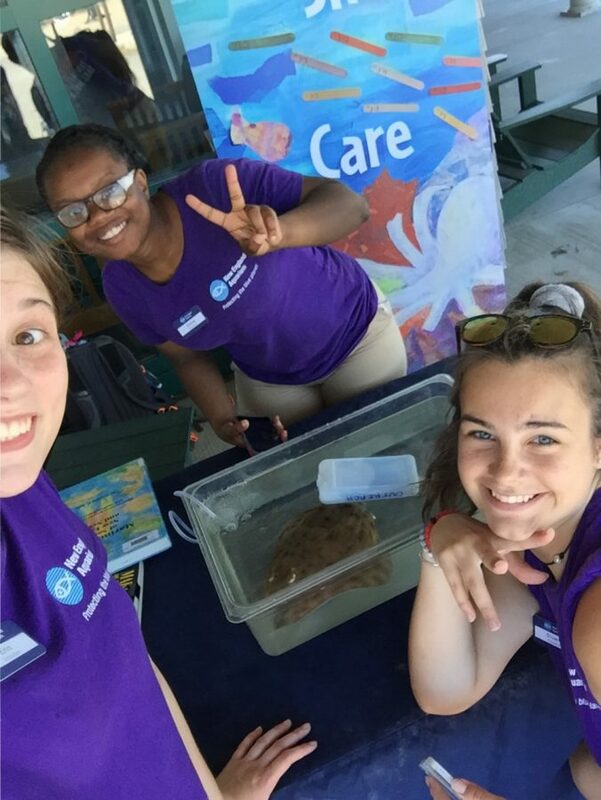 Some of our teen educators are dropping traps in the water next to the Aquarium and around Boston Harbor to see what animals are prowling our wharf, and they are sharing their findings with visitors to Boston Harbor Islands to teach folks about the animals that live in our backyard. Lobsters made an appearance at a recent traveling tidepool station on Spectacle Island. Our program educators and teen interns will be manning education station on Spectacle island on Wednesdays and on George’s Island on Saturdays all summer long. 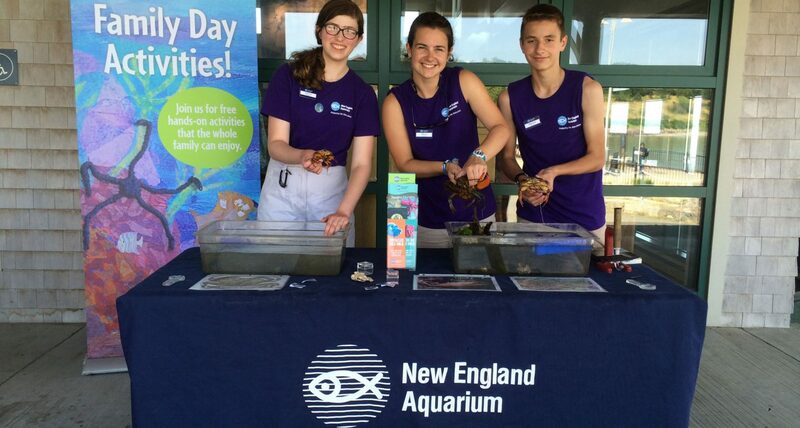 Island visitors are invited to saunter on over to meet the animals ask questions, learn about other local animals, invasive species, and what makes Boston Harbor so special. You might even meet some of the local fauna! 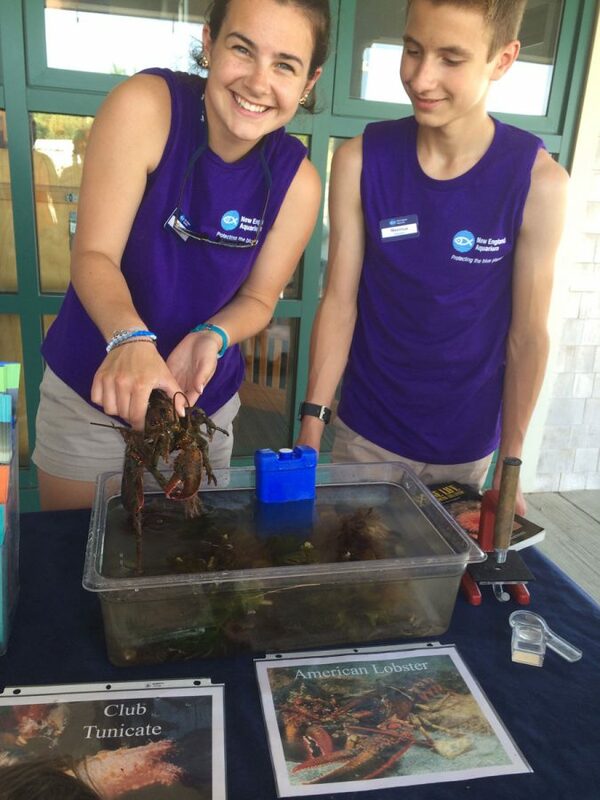 For example, the teens recently pulled a young lobster from a trap and they brought it to the education station (happily swimming in our traveling tidepool) so visitors can get a close-up to this popular crustacean. Learn about other animals on the beaches in the dock areas the harbor islands and discover how your actions can have an impact on the harbor and oceans in general. See local animals like lobsters! Activities take place on Spectacle Island on Wednesdays from 11 a.m. to 2 p.m. and from 10:30 a.m. to 1:30 p.m. on George’s Island on Saturdays. Check the ferry schedule (ticket purchase required) to find the best time for your family to visit. Just make sure to save time to visit our educators between all the swimming, hiking, guided tours, and fort scrambling that awaits you on the Boston Harbor Islands. Hands-on activities make learning fun for visitors young and old. 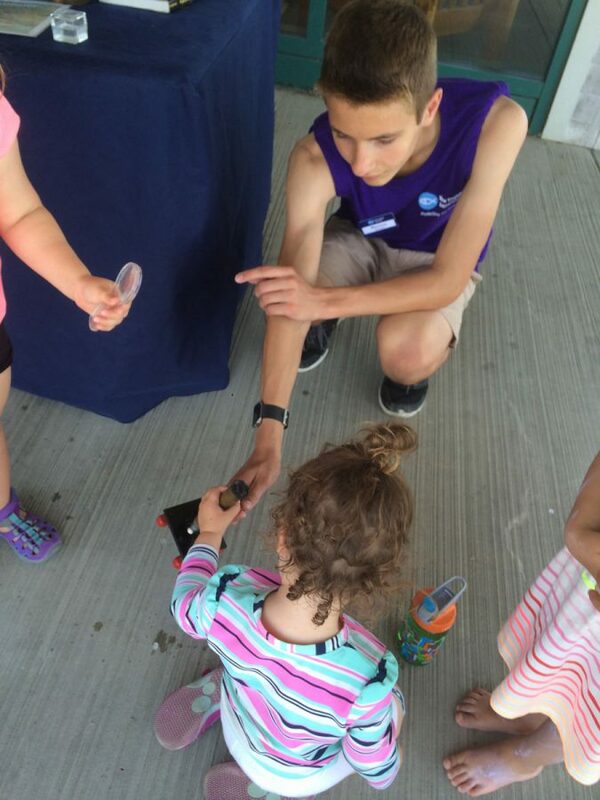 Educators shared a clearnose skate with visitors at a recent island outing.